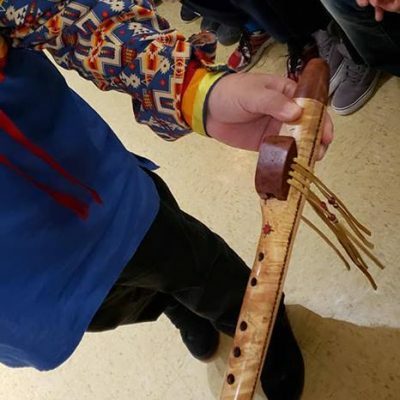 The GBAC is thrilled to launch a new music program at Bosanquet School, expanding our already well established program at the Grand Bend school. 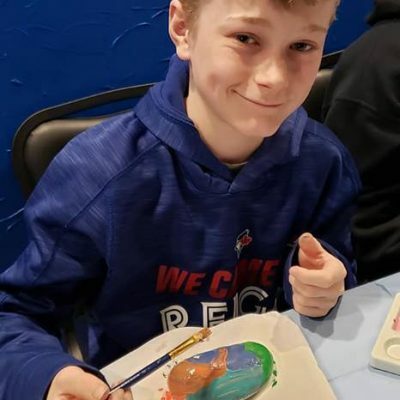 We were also pleased to host two classes from Bosanquet school on a field trip to Paint Ontario, where they were treated to activities including rock painting, a scavenger hunt, printmaking and storytelling! 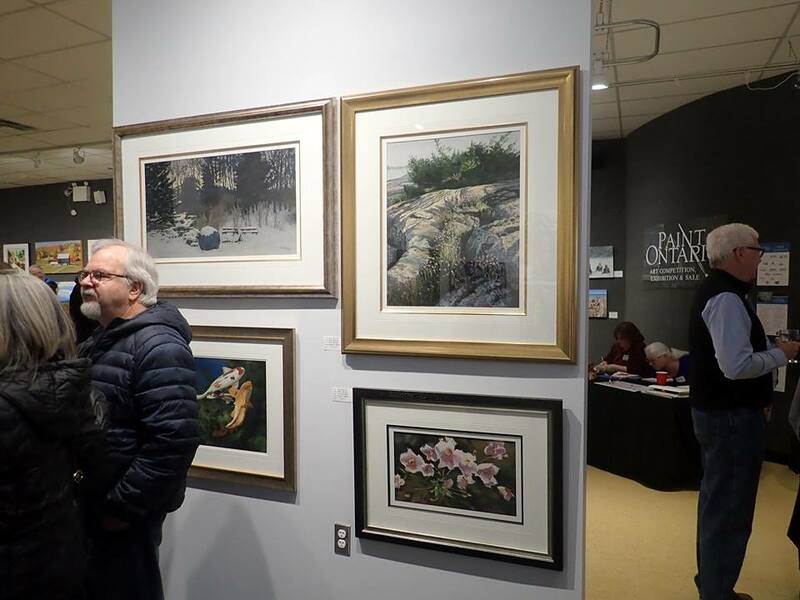 Paint Ontario’s annual art exhibition and sale is still open! 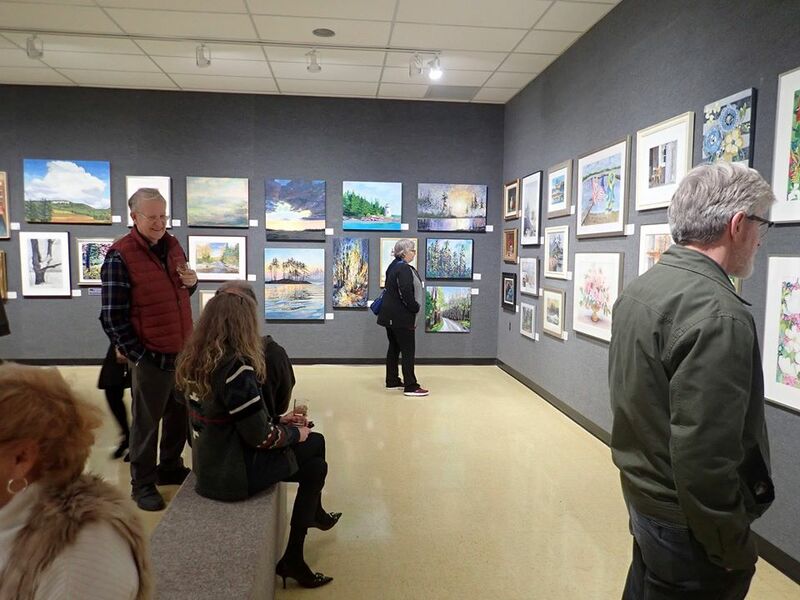 Through the auspices of the Grand Bend Art Centre, a team of dedicated and enthusiastic volunteers brings the show to fruition through every stage of production, from conception to the finished product. 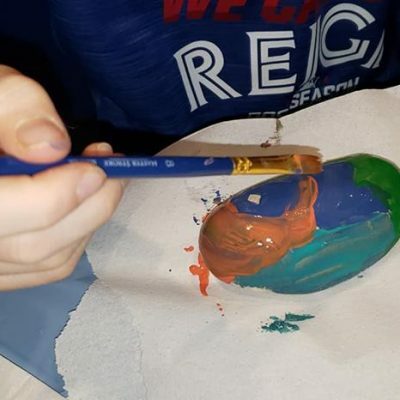 Our volunteers realize the important role Paint Ontario plays in the creative community and are proud to commit their time and talents to making it a reality. 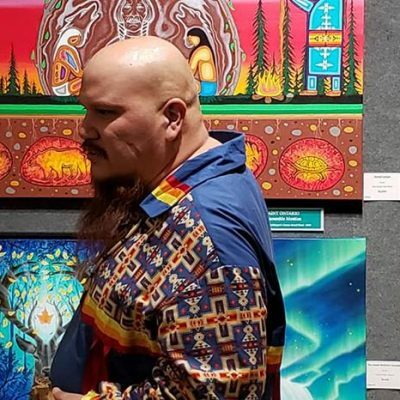 Not only does this prestigious show give artists the opportunity to be seen and to sell their works, the monies raised in commissions go straight back into cultural development within the community. 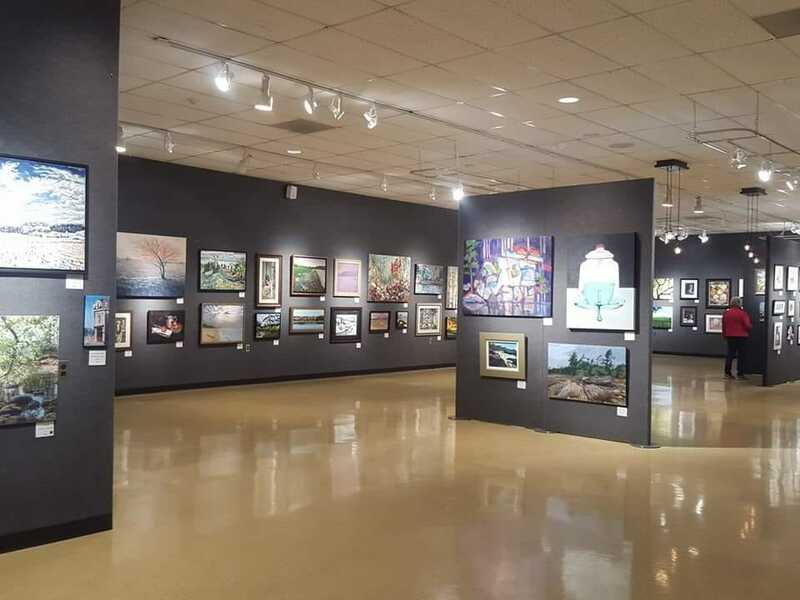 The Grand Bend Art Centre is a non-profit organization which provides, among many other things, a music program to the local school, grants to individuals and organizations who contribute to arts in the community, and arts camps for kids. 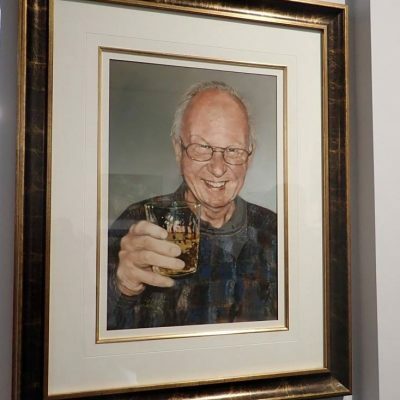 Show visitors will enjoy a Saturday bar featuring an Ontario wine and great craft beer. 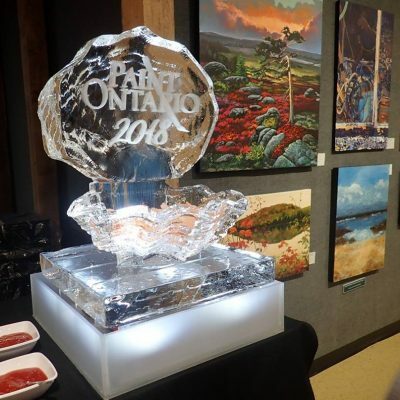 Local restaurants will be offering “Paint Ontario Specials” throughout the three weeks of the show. 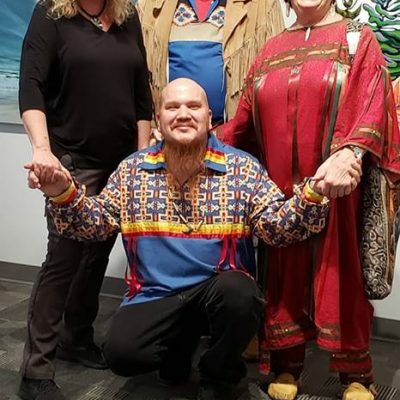 The Places and Faces of Ontario takes place this year from March 29 to April 20, 2019, one week later than previously. This puts the show into a better time slot for weather and travel and will allow the area’s many “snowbirds” to attend. 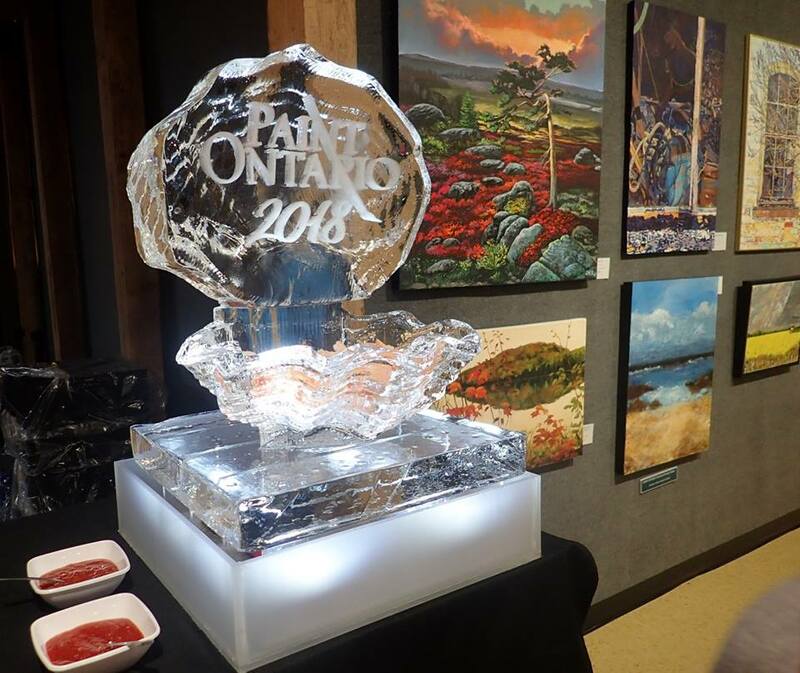 Paint Ontario is well known as a showcase for painters’ diverse Ontario images. 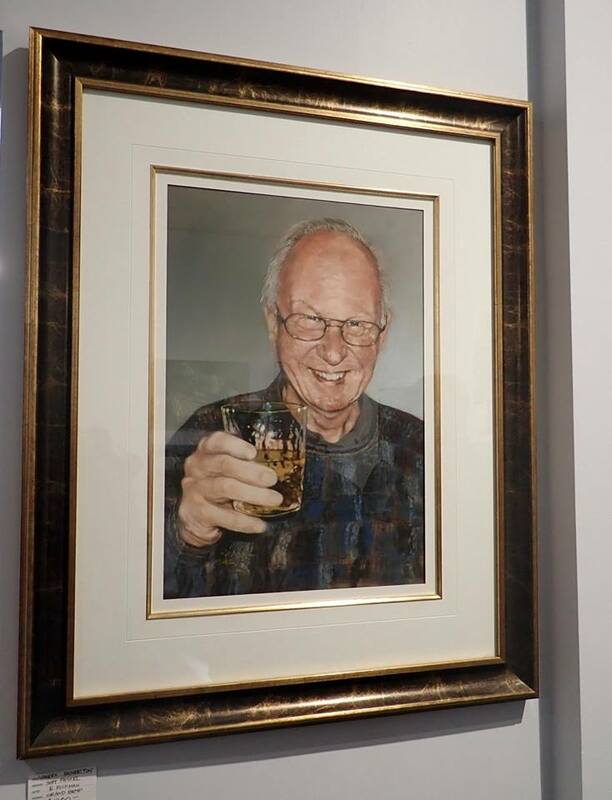 This year, we continue the Faces of Ontario portrait award. This has added a new dimension to this already inspiring show. 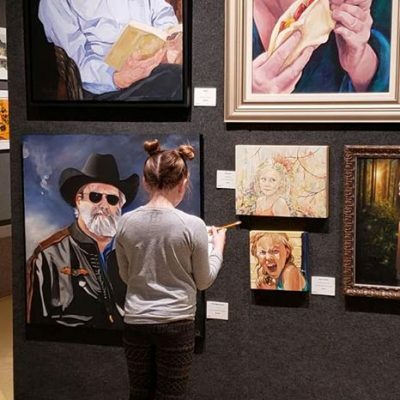 We continue live demonstrations during show hours by local artists and the very popular weekend refreshment area where visitors can relax with a glass of wine or beer from a local winery or craft brewer, complemented with some tasty, locally sourced snacks. 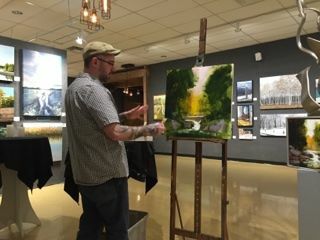 Come, hang out and enjoy a total Paint Ontario experience! This also kicks off an “Arts Season” which will run in to the Arts, Eats and Beats studio tour weekend at the beginning of May. 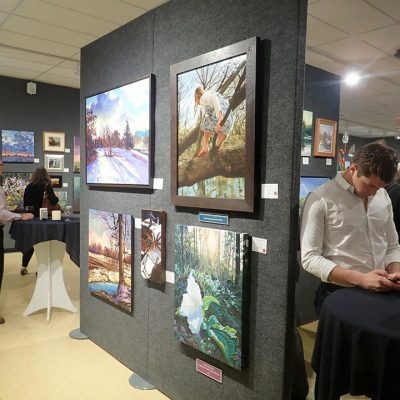 The Grand Bend Art Centre, organiser of Paint Ontario, is planning activities at the show and around town including artist workshops. 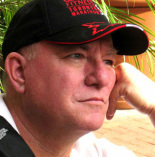 We are very excited to welcome Brian Smith and Jamie Jardine as workshop facilitators this year. 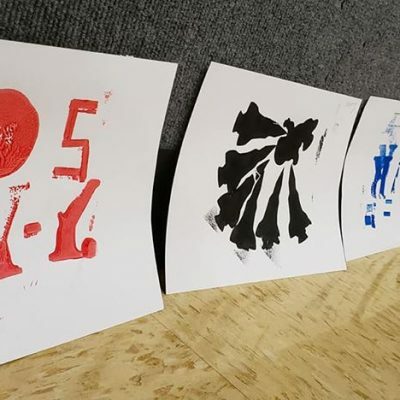 We will also have four life drawing sessions over the course of the show. 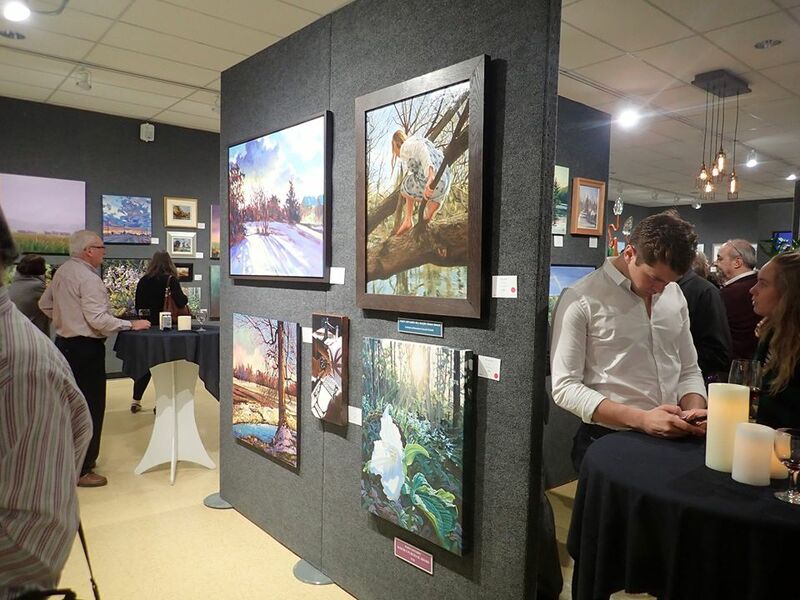 Live painting demos will be taking place at the gallery throughout the show by local artists including Paul Abeleira, Francis Martin, Layne VanLoo and Elaine Guitar-VanLoo, Red Dog George, Martina Bruggeman, Jamie Jardine, Marion Anderson and Teresa Marie Phillips – Executive Director of the Grand Bend Art Centre. 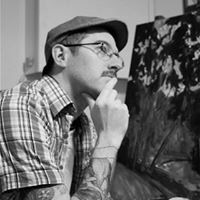 New this year is a series of art talks which will take place in the media room at the Lambton Heritage Museum. 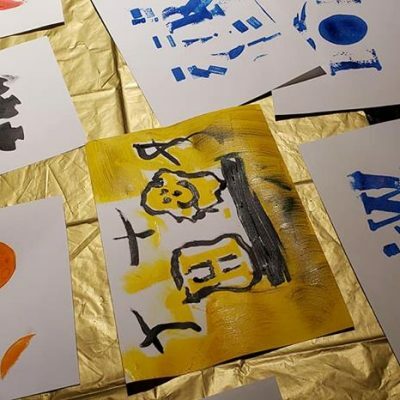 Marion Anderson, Donna Andreychuk, Anna Koot and Fran Roelands will bring fascinating insights into their work, making their creative process more accessible to their appreciative audience. As well, look out for events by partnering groups and businesses around the area, during this time period. Pine Dale Motor Inn – click here to make a reservation. Groups of visitors can arrive courtesy of Wave Transportation and Tours. Contact 548-388-9283 to arrange personalized transportation for your group within 100 km of Grand Bend. So, mark these dates on your calendar, tell your friends and come enjoy Paint Ontario and the area arts season. 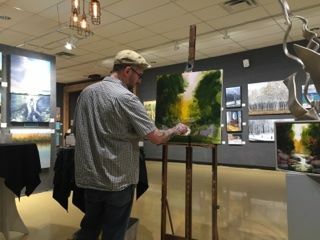 A new installation at Paint Ontario, art talks proved to be real crowd pleasers and definitely added a welcome new experience to the show! 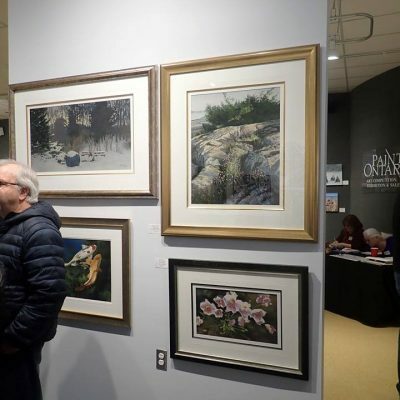 We would like to acknowledge that Donna Andreychuk’s art talk has been sponsored through the generous donation of Lynda Crossman and Soren Petersen. 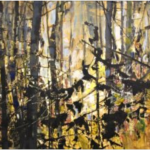 We would like to acknowledge that Anna Koot’s art talk has been sponsored through the generous donation of Jim and Marg Collez. 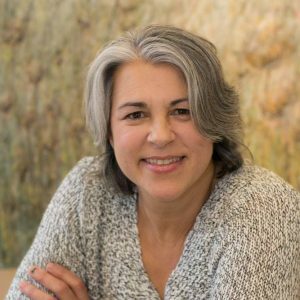 We would like to acknowledge that Fran Roelands’ art talk has been sponsored through the generous donation of Hay Communications. You can still catch Teresa Marie’s demonstration! 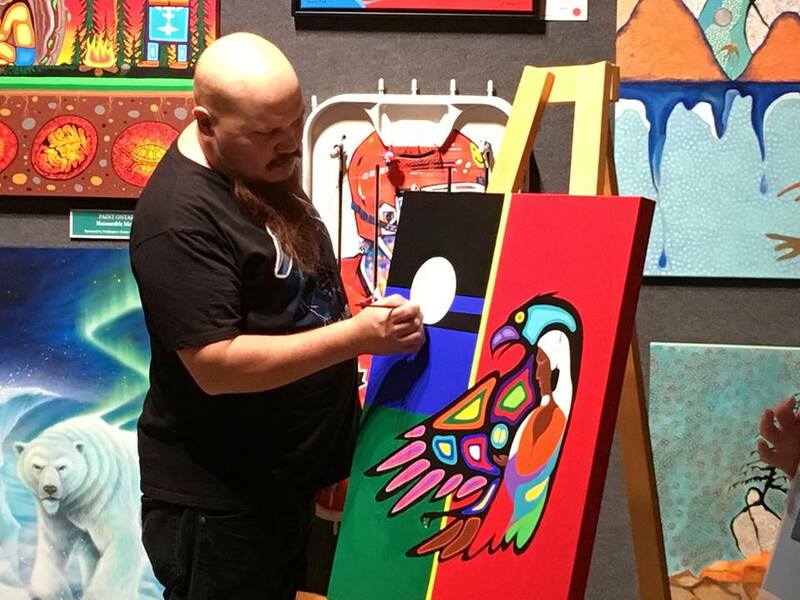 Coinciding with Paint Ontario the GBAC hosted two amazing artist workshops this year! The Ausable/Port Franks Optimist club is very active in their community. Its members are dedicated to providing supports and opportunities which promote a healthy, happy lifestyle in our youth. Providing creative outlets is a big part of that! 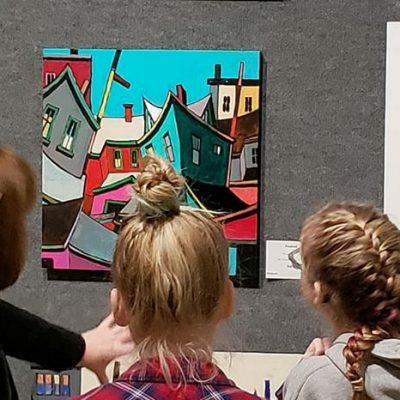 The success of the annual Paint Ontario juried competition and sale produced by the Grand Bend Art Centre at the Lambton Heritage Museum in Grand Bend inspired them to create something similar for kids, These kids need to be seen and heard! This is open to all youth aged 8 to 18 and is included in the Arts Eats and Beats tour this year! For details on how to enter, visit their website by clicking on the logo. The Municipality of Lambton Shores has adopted a “Community Grant Program” to provide limited financial assistance to community groups and organizations within the Municipality to help with programs, projects or special events. 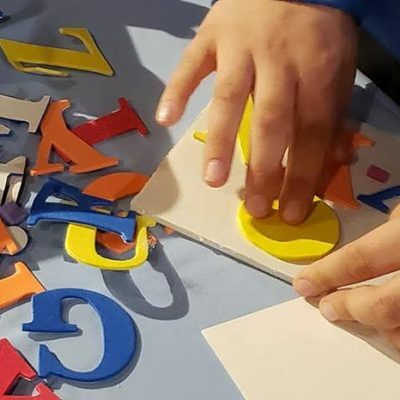 The program exists to recognize the value of these groups to the well-being and growth of the community and in helping the Municipality retain a strong community focus. The Community Vibrancy Fund was developed through the Municipality’s agreement with Jericho Wind, LP (NextEra). It offers financial assistance to programs, projects, services or activities that enhance the quality of life for residents in the areas of health, arts, culture, leisure, heritage, recreation, education and the environment. If you have a program or event that needs some space, the Art and Youth Centre at 16 Municipal Drive may be available. 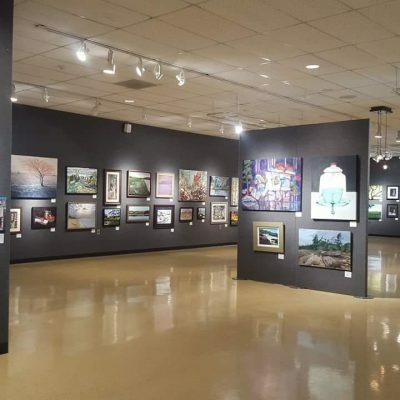 This hidden gem in our community is the perfect venue if you’d like to host any arts related activity, or a cooking class, or a knitting club, or. . . well, you tell us! Looking for a spot to make your vision a reality? Check us out! JW Jones will be keeping the Blues ALIVE in Grand Bend. 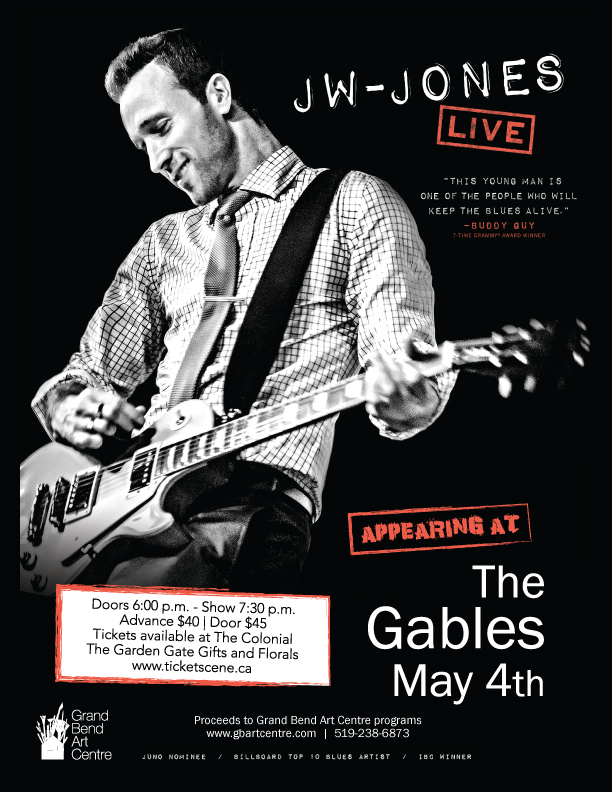 He's performing at The Gables, May 4th. It's an early show with his first set at 7:30 pm. Go to his Facebook page, JW-Jones or listen to some of his music at jw-jones.com. People still enjoy to give and receive cards. My mother LOVES getting a card from me for Mothers Day, Birthday etc. Finding ones she will really enjoy makes me happy. This year the GB Art Centre has reproduced the Beach Murals and put them on high quality cards. A unique expression of creativity and local flavour. A package of 15 cards with envelopes are $20. You write your own message inside. People still enjoy to give and receive cards. 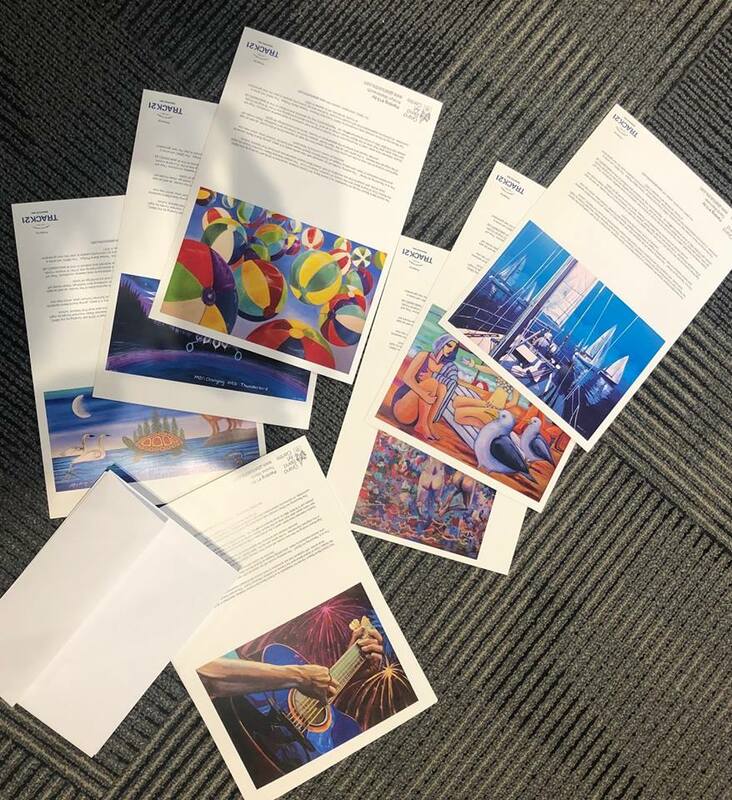 This year the GB Art Centre has reproduced the Beach Murals and put them on high quality cards. Available at Paint Ontario or message us and we will see you get a set. Please enjoy this video developed by Channel One for Hay Communications.. 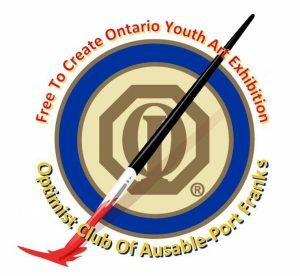 Paint Ontario is over for 2019. Once again an amazing sucess. 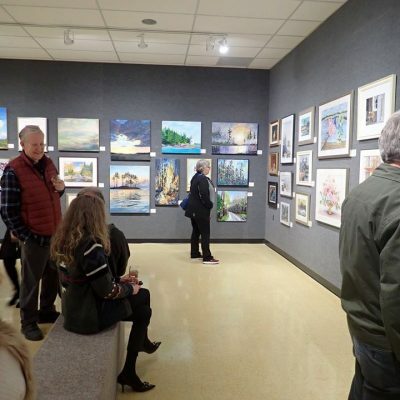 Thank you to the sponsors, artists, volunteers and those who attended the show.